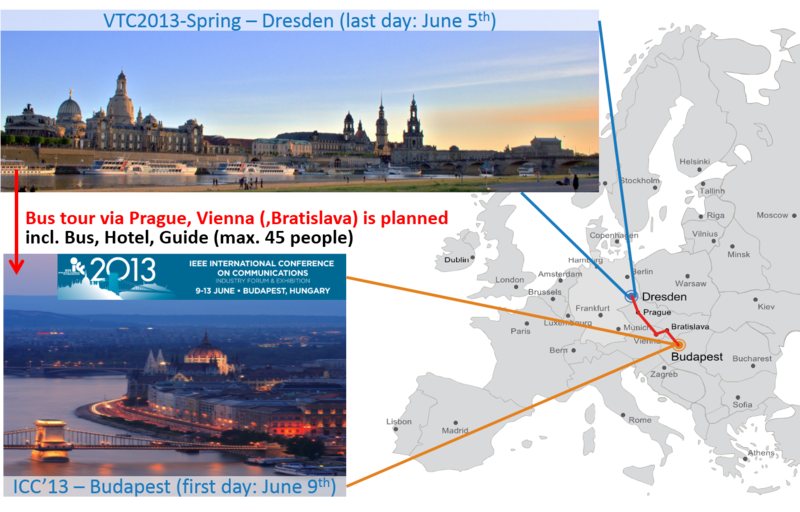 In 2013, the flagship conferences IEEE VTC2013-Spring and IEEE ICC2 013 of VTS and ComSoc will be held in two consecutive weeks within a 700 km distance in Europe. For that reason the organizing committee of both conferences decided on an inter-society cooperation to organize a trip from Dresden to Budapest via three of the most interesting capitals in Europe. Detailed information about prices and program will follow as soon as possible!